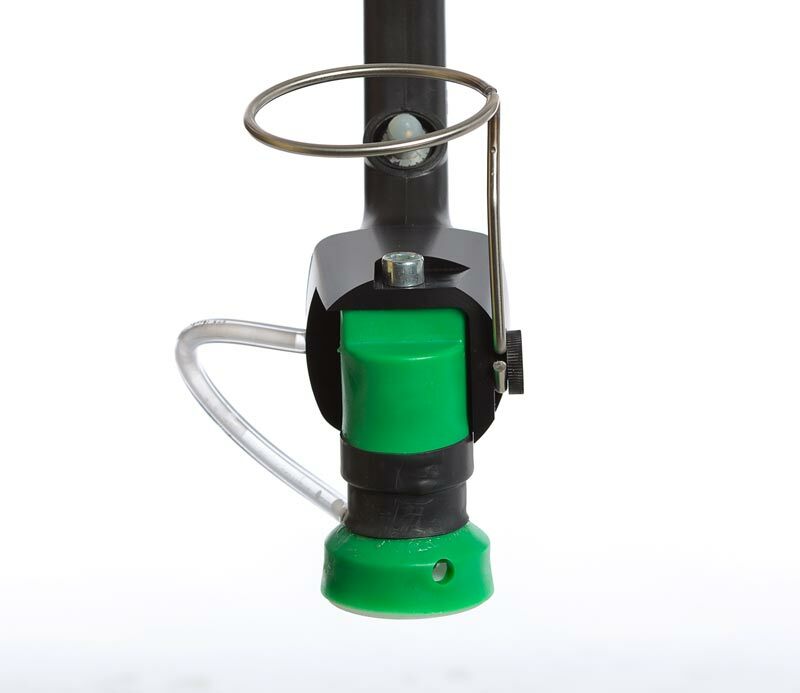 The MANKAR-HQ 80 has a special rotation atomiser, which generates a spray cone with a diameter of 80 cm. The atomiser can be rotated laterally. 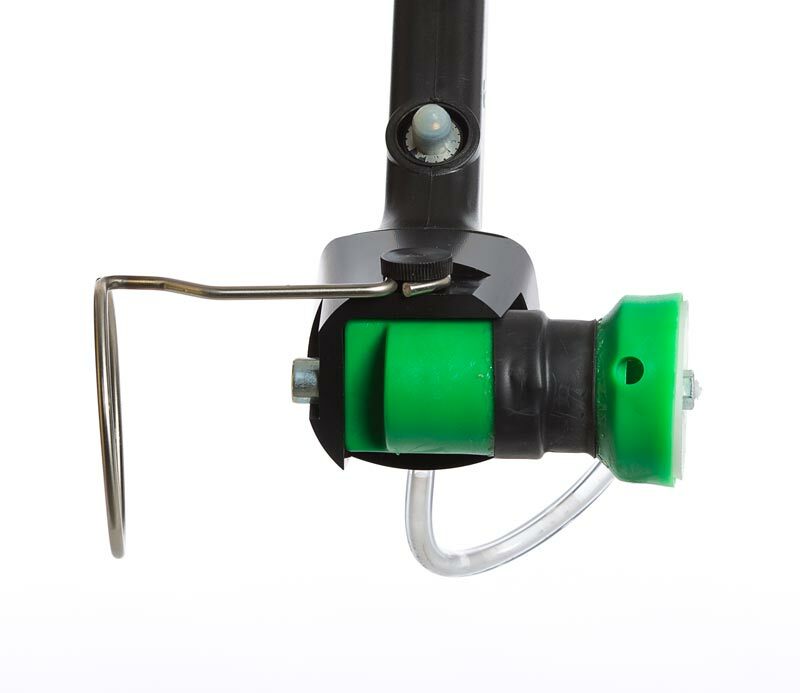 This unit is ideal for biological herbicide that needs to be applied in larger quantities than is possible with the segment rotation atomiser. It is fitted with a 10-litre tank, which is carried like a backpack. This means the tank does not need to be refilled very often. Testing was carried out, for example, with the product Finalsan®, which can be applied undiluted with the MANKAR-HQ 80. 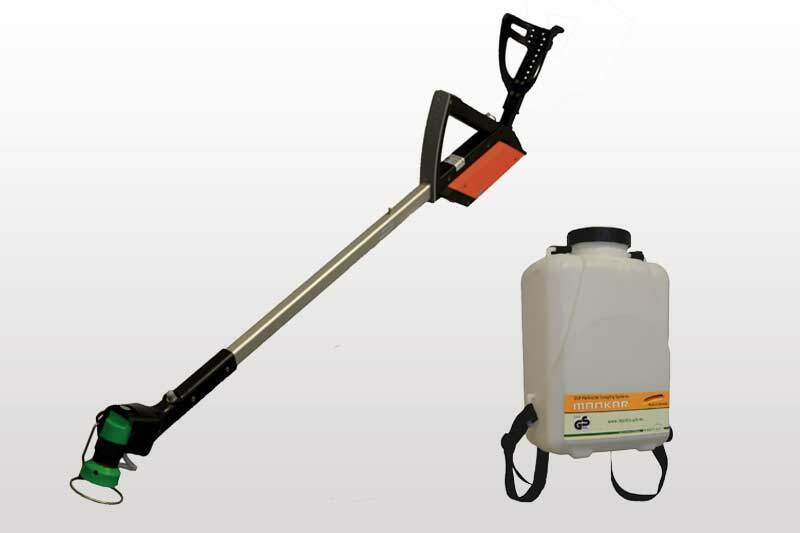 The MANKAR-HQ 80 can also be used for other herbicides such as Roundup® PowerFlex. This can, for example, be useful along fences or on field solar systems, where a spray hood might be in the way. Unlike other MANKAR units, the MANKAR-HQ 80 cannot spray with a sharp edge due to its special rotation atomiser. A spray hood is not currently available. Spray width: 80 cm, not sharp-edged! atomiser: Rotation atomiser, max. 100 ml/min.